Well, my friends, now that Cupcake Hero July has ended we can finally go back to our scheduled programming. No voting, no crazy concoctions, no one else’s material. Actually, I won’t be around for a week and half because.. I’m going to London/Ireland with the fambam! Yayyyyyyy!! However, I’ll be re-posting some of the first recipes I posted here. Since starting this blog in February, I’ve gained a reader or two and I definitely do not want you to be missing out on any goodness. But, for now, I’ll leave you with a final cold flour-less recipe in honor of my last day living with a kitchen that has no flour or baking supplies whatsoever. (At least now it has sugar!) 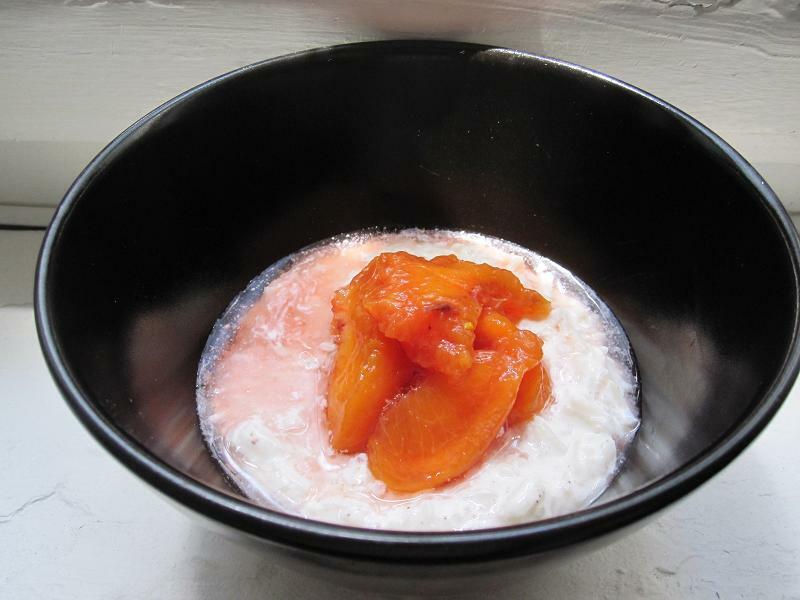 Pardon the pictures, the peach syrup may have skewed the view of the rice pudding a little but but I assure you the flavor was all there and was outstanding. Cook rice per usual. I cooked mine in a large nonstick saute pan so I could make the rice pudding right away. In a large nonstick saute pan over medium heat, combine the cooked rice, milk, cinnamon stick, and cloves. Heat until the mixture begins to boil. Decrease the heat to low and cook at a simmer until the mixture begins to thicken, stirring frequently, approximately 5 minutes. Increase the heat to medium, add the heavy cream, coconut milk, sugar, nutmeg, and vanilla and continue to cook until the mixture just begins to thicken again, approximately 5 to 10 minutes. Once the mixture just begins to thicken, remove from the heat and take out cinnamon and cloves. Transfer the mixture to individual serving dishes or a glass bowl and place plastic wrap directly on the surface of the pudding. 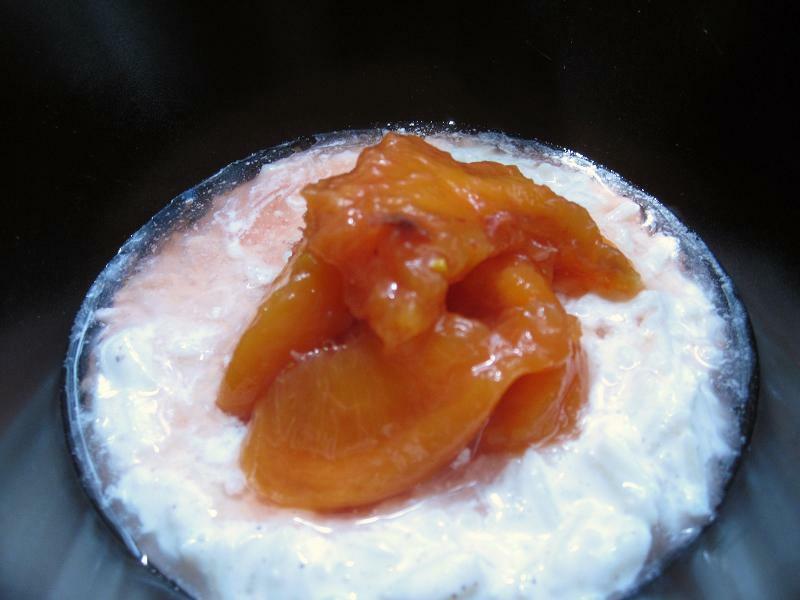 Serve chilled or at room temperature with peaches. adapted from a magazine but I don’t remember which. oops. Bring sugar, water, orange zest, and orange juice to boil. Bubble for 5 minutes. Add the peaches and boil them over. Simmer for 10-15 minutes until peaches are soft, turning them occasionally. The skins will begin turning the syrup into a beautiful shade of red/orange. 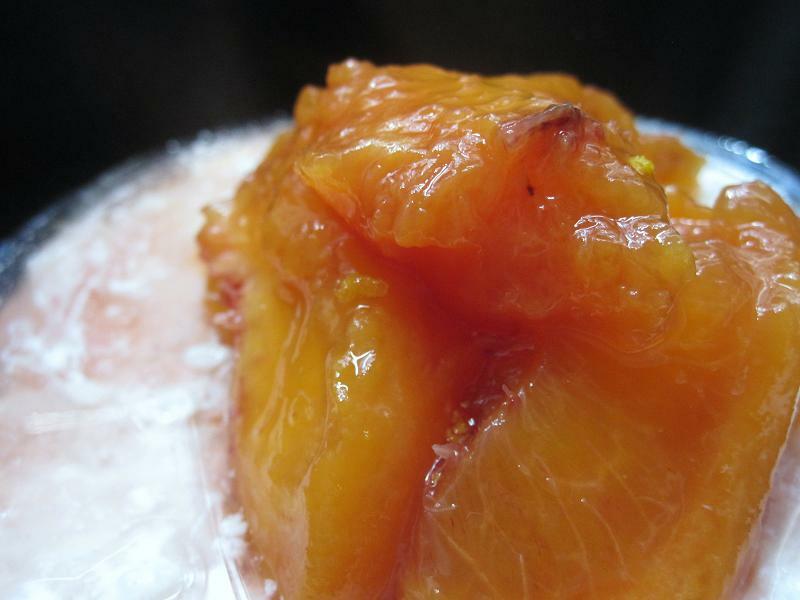 Once peaches are done, remove peaches, allow to cool a little and remove their skins. Meanwhile, bring the reserved liquid to boil for 10 minutes or until it becomes a thick syrup. Pour over peaches when serving. Stay cool! I’ll be in rainy London/Ireland!